Happy Birthday from the gals in your life who love you! We love you so much, Bev! Local Lily is a wonderful new blog featuring all things local. 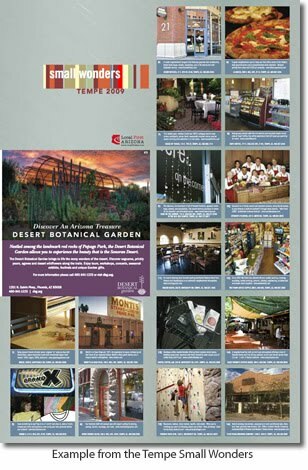 It is a great resource for local establishments from restaurants and stores to museums and markets. 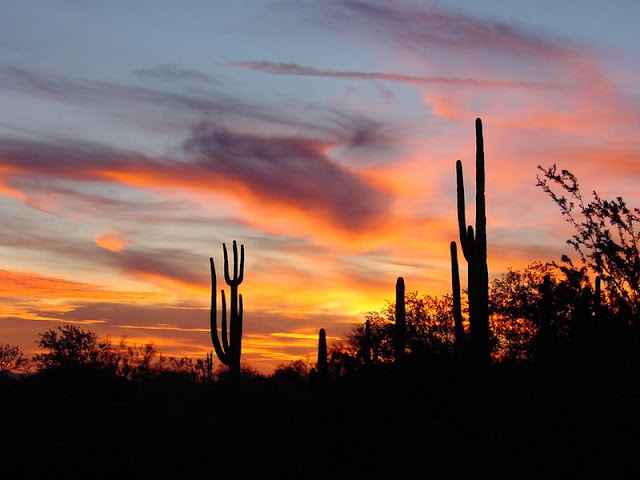 They are definitely one to bookmark, especially if you are from Phoenix or planning to visit. 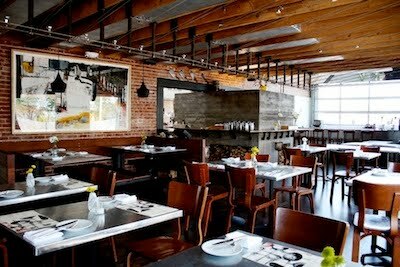 A speak-easy that isn't going to be such a hidden gem for long. Little by little the Duce is becoming everyone's favorite spot! RnR surplus clothing, antique home items, great food and great drinks all in a family friendly atmosphere - you can't beat it! Farmer's Markets are a great way to start your weekend. See your neighbors, buy your produce and goodies from local vendors and increase the cohesiveness of your community. 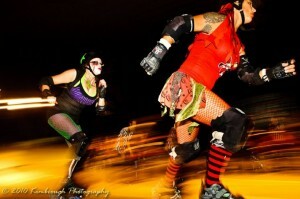 Arizona Derby Dames is a Saturday Night Out you won't soon forget! Grab a draft beer and get ready to holler - it ain't child's play! 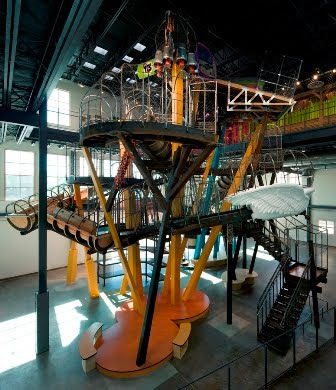 The Phoenix Children's Museum has many floors of awesome, air-conditioned fun for families of all ages... babies and big kids, too! For a one-stop shop of clothes and accessories, its all about Nouvelle Armoire! Gorgeous earrings, beautifully made and unique clothing with sales you can't beat. Thank you so much to the ladies of Local Lily! 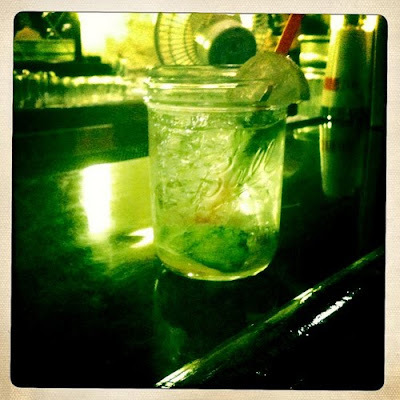 Keep up with their blog to find more fabulous places scattered across this great city of ours! Hope you enjoyed all of our guest bloggers this week! We sure did! 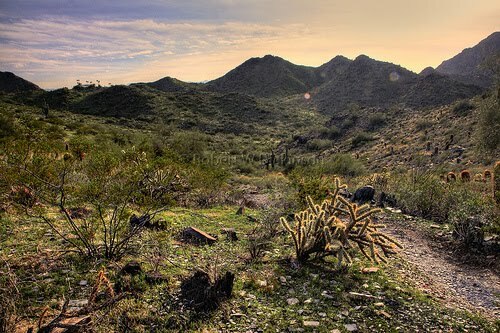 For those from Phoenix, did you discover anything unknown to you that you are now itching to go check out? What are some of you local favorites in Phoenix or your own city that you would recommend to someone if they were visiting? 60% off everything in our Sale Section! We have lots of little goodies and treasures hiding back there! You won't want to miss this one time deal! If you live in Phoenix and are not already familiar with Frances and Smeeks, then come on out from under that rock and discover them. 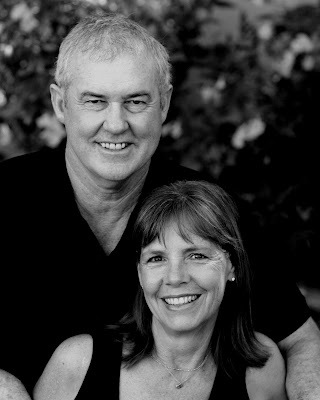 Georganne Bryant is the brilliant talent behind both these fantastic local businesses. Frances is one of the loveliest boutiques with wonderful gifts for anyone on your list (or, of course, for yourself, as it is hard to walk out of this store without something you just couldn't resist). And Smeeks is a dream of a candy store for any kid, or any person who still has that bit of kid inside them. 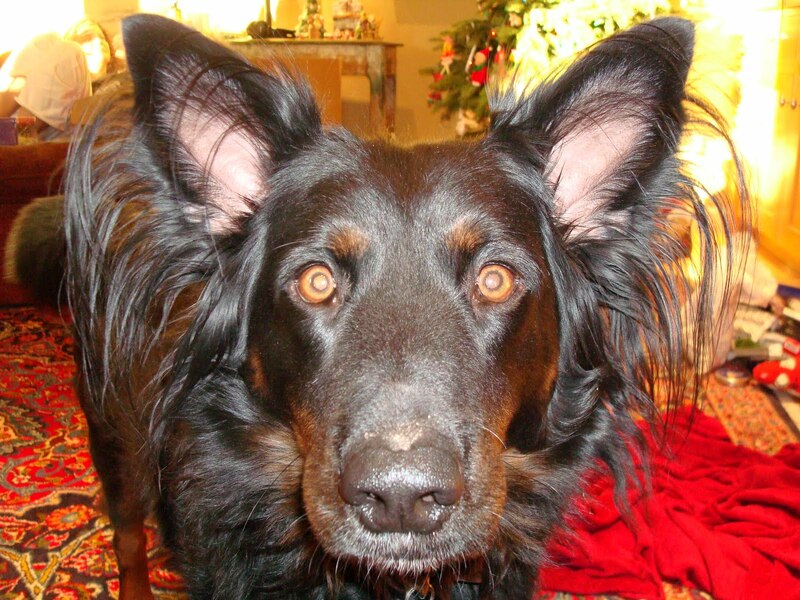 I love walking my dog in the early, early morning along Murphy's Bridle Path on North Central. 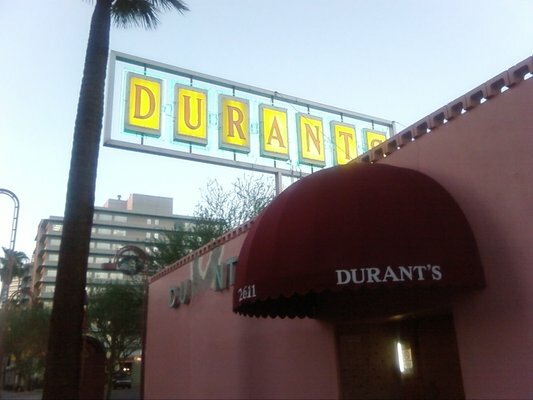 A definite favorite is Durant's on Central for its constant coolness. Its always a great place for a drink and we have celebrated many special occasions at this Phoenix landmark. Try the strawberry shortcake for a real treat! 3. Vintage Shopping along 7th Ave. I love vintage shopping along 7th Ave. in Phoenix. 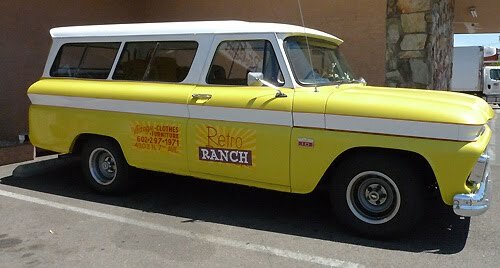 I particularly love Indigo's style and finds at Retro Ranch. She always has a great collection/selection of vintage office supplies. Zinnia's, Hollywood Regency and Go Kat Go are all wonderful, too. 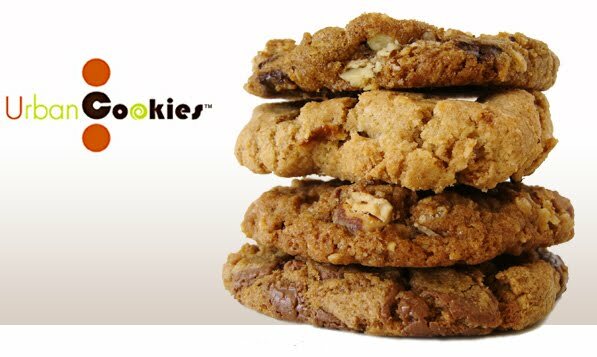 We love Urban Cookies on a hot summer day with an AJ's iced tea! Yum! Try Urban Cookies ice cream sandwich! 5. Swimming pool at night. My all time favorite "beat the heat" in Phoenix is hanging out with family in our pool at night. Love it! 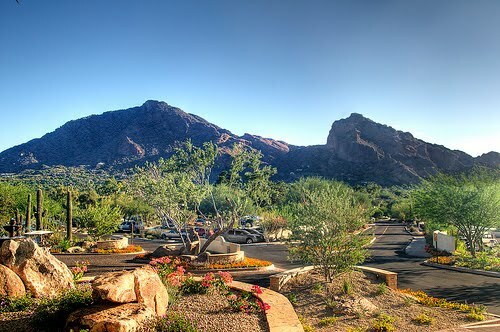 Thank you so much to Georganne for another fantastic list of great things in Phoenix! Maybe you should grab an AJ's iced tea and head over to Frances to check out all their lovelies and then pop into Smeeks for a little treat. Tell them we sent you! 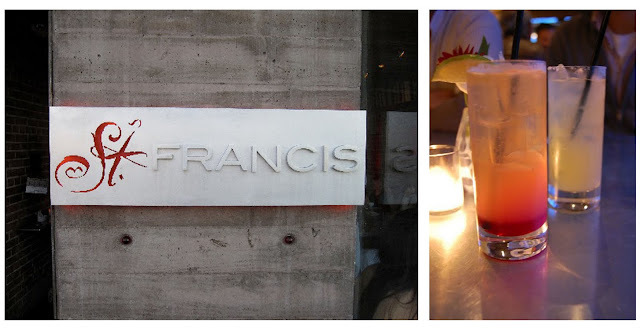 And don't forget to check out their colorful blog for all the latest Frances and Smeeks news! The Hubbard Family Swim School is one of those great family-run businesses in the Valley where you can literally feel the love within the walls. The Hubbards and all their employees truly love what they do. Between their Swim Schools and Sports Camps, they are teaching our kids "skills to last a lifetime" (my kids and grandkids have all been involved in all the Hubbard programs). 1. The Variety of Restaurants on Camelback Road. 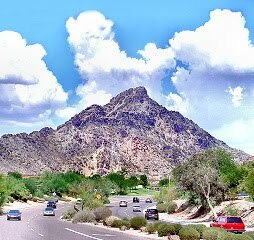 We live in the city in an older neighborhood near 28th street and Camelback. We often work late into the evening so we love walking to the wide variety of restaurants and "establishments" - fancy word for bars - that are now available. We love our neighborhood establishments and their great personnel - Jason at the Parlor, Jessica and Mark at True Food, Jarrod at the bar at Mortons, Tom and Al at the bar at Houstons, Monica at Keegans, Jake at Hava Java, the team at the Esplanade Starbucks, Wally and Sean at Wally's on 44th Street - all providing great service, food and conversation. 2. The Quartz Ridge Trail 8. Looking for exercise, try Quartz Ridge Trail 8 - 32nd Street, north of Lincoln. 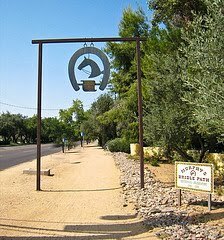 It is a great trail which you can do in small pieces or connect with some of the other Piesta Peak trails. 3. Tee Pee on 40th and Indian School. A gotta do in Phoenix - the Tee Pee on 40th and Indian School. The Green Mary Lou with nachos and a side order of beans. Mmmmm, good. 4. Lux Coffee Bar on Central Avenue. 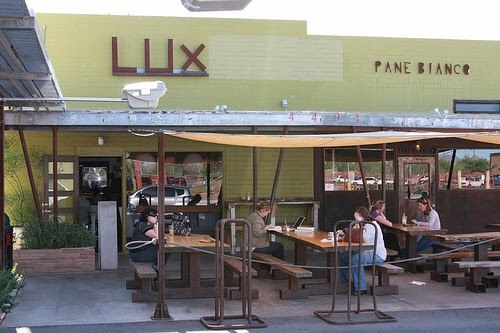 We stop at Lux on Sunday mornings at the 75% point of our bike rides for some excellent espresso, conversation and the cool sounds of their DJ spinning great music. I love walking into our Swim Schools and Sports Camps throughout the valley and seeing all of the kids and parents and their excitement about their experiences at Hubbard. We love what we do and it energizes us everyday - so come play with us! Thank you so much to Bob! We loved hearing all about your favorite things in Phoenix! Check out the Hubbard Swim Schools and Sports Camps online. If you have little ones, this is where they need to be! 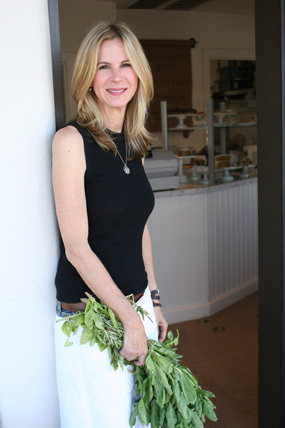 See you back here tomorrow with another one of our local favorites sharing her local favorites! Seesaw Designs is a local graphic design and letterpress studio run by three insanely talented ladies, Lindsay, Angela and Raquel. They are one of those companies where you just stare at their work and dream of being so creative (drool over these for a little while). In addition to being an amazing local business, their blog is the loveliest and they have, possibly, the most perfect vintage etsy shop, seesaw vintage. 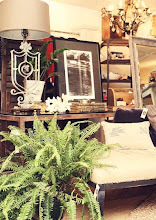 Phoenix is chock-full of amazing vintage clothes and furniture, and who doesn't love a good treasure hunt? The three of us are compulsive thrifters and spend our evenings and weekends searching for goodies for our online vintage shop, seesaw vintage. 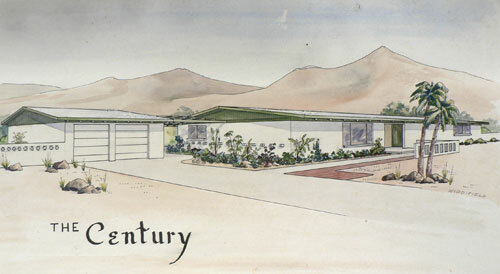 The valley has been home to some amazing architects, among them Frank Lloyd Wright, Al Beadle and Ralph Haver. 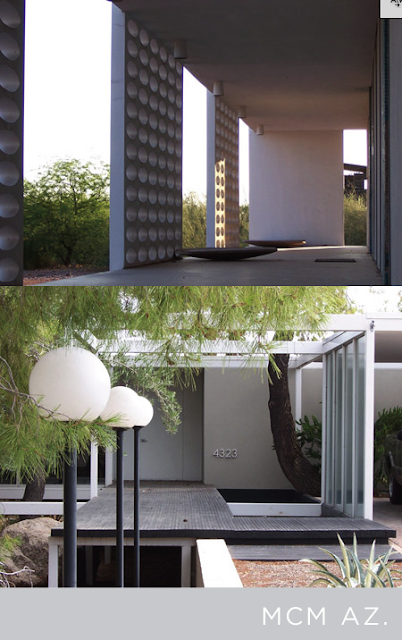 We love the many mid-century gems that you can find sprinkled throughout the city. 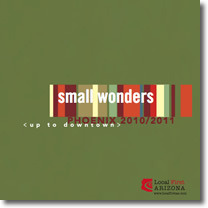 Modern Phoenix is a great resource for learning more about these historic buildings and neighborhoods. We think Phoenix is awesome, and are proud to know people and organizations that are working to unite the community and get the word out. Phoenix Design Week is a great event serving the design community that happens every fall. 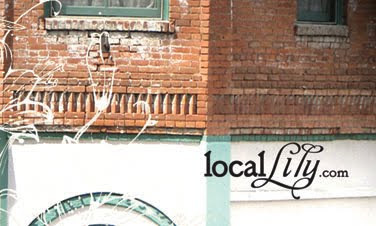 Local First Arizona is an organization that works year-round to bring attention to all of the great community gems in the Valley. They put out a "small wonders" map yearly, as well. 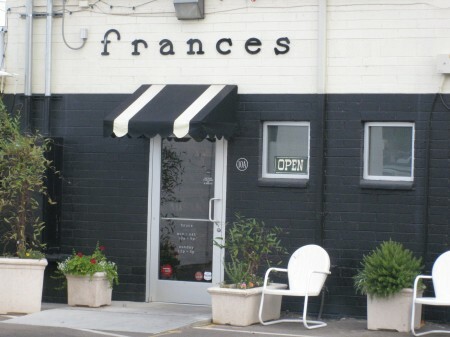 We love Georganne and all the lovely finds at Frances, her boutique on Central and Camelback. Plus, its next door to Smeeks, a great place to feed your sweet tooth. Thank you so much to Seesaw Designs! You can ooh and aww over their work for a while, pick out something from their fantastic vintage shop or just stop in to their lovely blog and say hello (tell them we sent you!). And, of course, if you need anything by way of design, we think these are your girls. We hope you are enjoying these guest bloggers as much as we are. 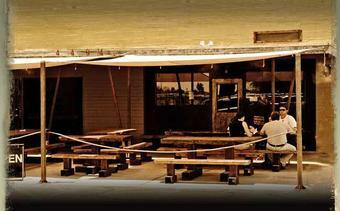 Chestnut Lane is one of our very favorite spots in the valley (have we mentioned that before?). 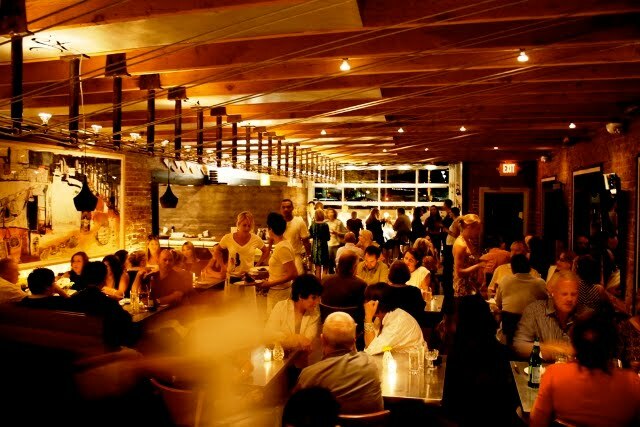 The food is delicious and the atmosphere perfection. 1. Hiking Camelback after it rains. 2. 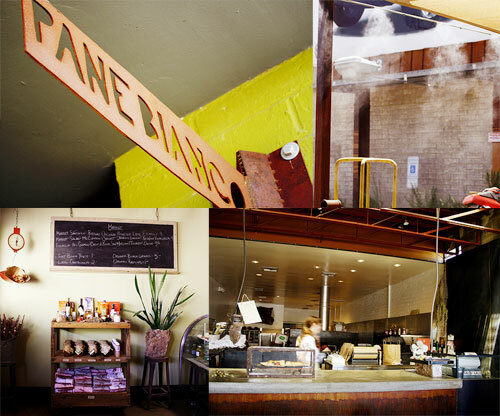 Lunch at Pane Bianco. 3. The stunning sunsets here. 4. Having an almond margarita with my husband at St. Francis. 5. Cricket Pavillion when Dave Matthews is playing. Thank you so much to Polly! Now go treat yourself to something delicious from Chestnut Lane or call them next time you are having a party. Need a cake? This is your place. 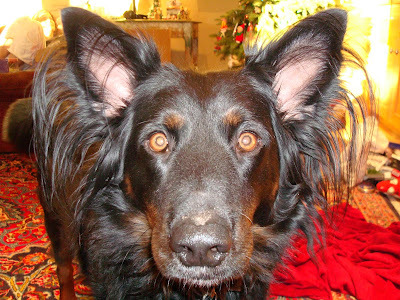 See you back here tomorrow for another fabulous guest post! 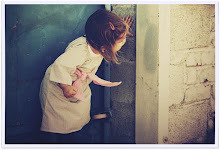 *images here, here, here, here, here and here. Stop by and visit the girls at the Willows. 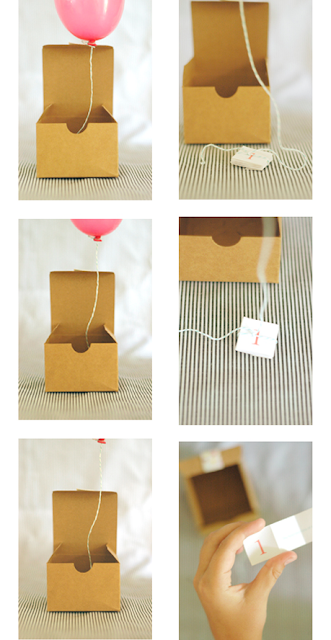 Be sure to check in on our blog every day next week for some amazing guest posts! We are all about Phoenix next week for anyone who needs a little reminder in these hot summer days as to just how fantastic this city really is! guest blogger jen - the wedding day! guest blogger jen: the wedding trip!